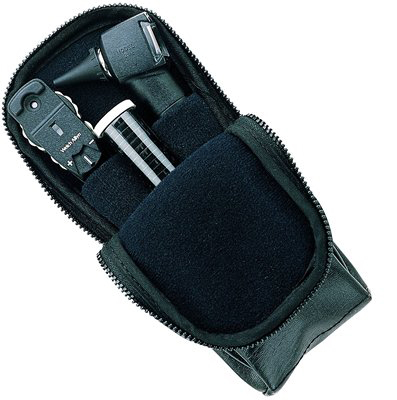 Welch Allyn PocketScope diagnostic sets are lightweight, compact diagnostic instruments for those who want high performance in a slightly smaller package. 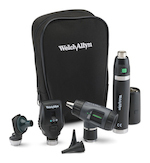 Welch Allyn PocketScopes feature superior halogen illumination and rheostat control. The 2.5v ophthalmoscope provides 48 viewing lenses, lighted lens display, five apertures, and a polarizing filter. The 2.5v otoscope offers cool, fiber optic light transmission and a wide-angle magnifying lens, and converts to a high-intensity throat illuminator. Includes AA batteries and soft case.